“You have an autoimmune disease.” That moment your doctor says those words, your life changes forever. It can be scary hearing about the symptoms, the side-effects of the drugs, the fact this disease will be a part of your life forever. Your doctor is likely to offer you prescription medications to manage your symptoms, book a follow-up appointment, and send you on your way. There’s a very good chance she isn’t going to tell you reversing your symptoms without medication is possible, and it starts with restoring the health of your gut. 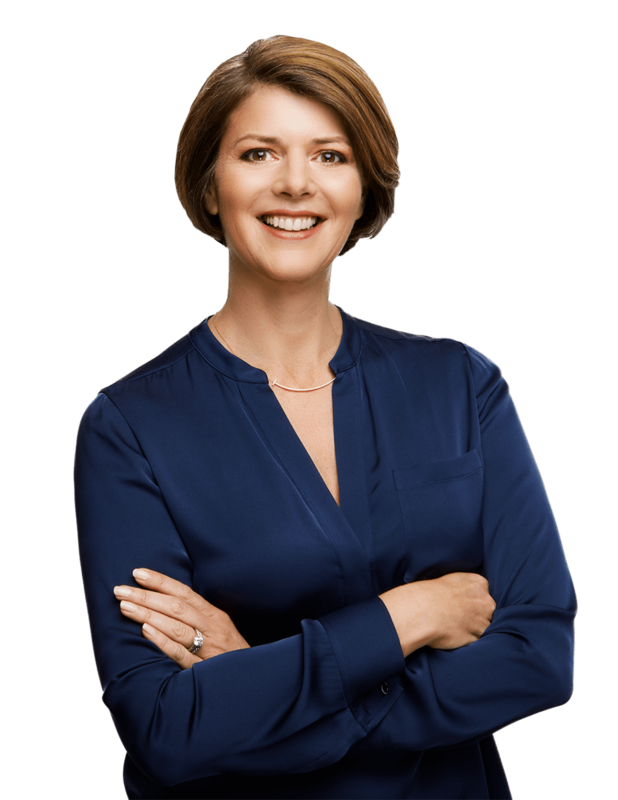 I have seen first hand in my clinic the incredible progress and turnaround people with autoimmune disease can make simply by addressing their gut health. 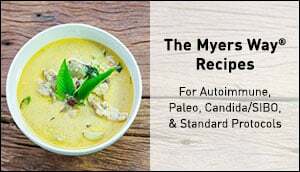 This is why repairing the gut is the first pillar of The Myers Way®. 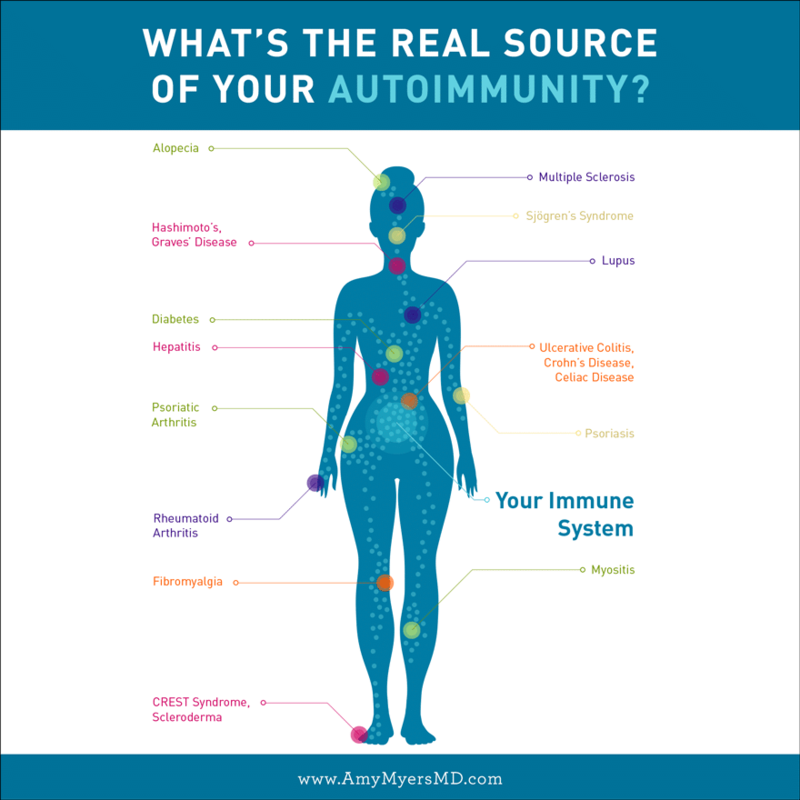 The first thing to understand about autoimmune diseases is that they are diseases of the immune system.The first thing to understand about autoimmunity is that they are diseases of the immune system! Click To Tweet Somewhere along the way your immune system went rogue and began attacking your own tissues. It could be your thyroid under attack, your intestines, your skin, your brain, your pancreas, or another organ. No matter what part of your body is under siege, the underlying problem is within your immune system. 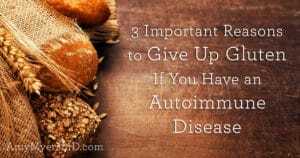 This means in order to treat, prevent, and reverse your autoimmune disease you’ll need to get your immune system back under control. In order to do that, you must address your gut health. Your gut is the foundation of your whole body’s health because 80% of your immune system is located there. Without a healthy gut, you can’t have a healthy immune system. 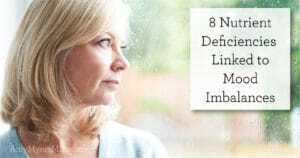 Without a healthy immune system, you’re open to infections, inflammation, and autoimmune disease. Leaky gut happens when the tight junctions that hold your intestinal wall together become loose. You can think of your gut lining as a drawbridge. Teeny tiny boats (micronutrients in food) that are meant to travel back and forth are able to go under the bridge without a problem. This is an important system that allows vital nutrients from the food you eat to be absorbed into your bloodstream. Certain aspects of our modern life, including toxic foods and stress, will cause that drawbridge to go up, allowing bigger boats that aren’t meant to travel through to cross over. Your gut wall is meant to protect you from these substances, but now microbes, toxins, proteins, and partially digested food particles are passing under the drawbridge and escaping into your bloodstream. Find out if you have a leaky gut with this free quiz! The high prevalence of leaky gut in today’s society is a direct result of our modern lifestyle. The toxic and inflammatory foods we eat, medications, infections, and chemicals our bodies are exposed to and the chronic stress many of us are under everyday are the cause. Gluten is the number one culprit. It triggers the release of zonulin in your intestines, a chemical that tells your gut lining to “open up”. Other inflammatory foods such as dairy, grains, pseudograins, nightshades and eggs, along with toxic foods, such as, sugar, nightshades, alcohol and GMO’s are major contributors to leaky gut as well. The most common infectious causes are Candida overgrowth, intestinal parasites, and small intestine bacterial overgrowth (SIBO). When the bad bacteria, fungi and parasites take over the gut we this dysbiosis. If this imbalance is not addressed, over time it will lead to leaky gut. Environmental toxins such as mercury, pesticides and BPA from plastics also contribute to leaky gut. 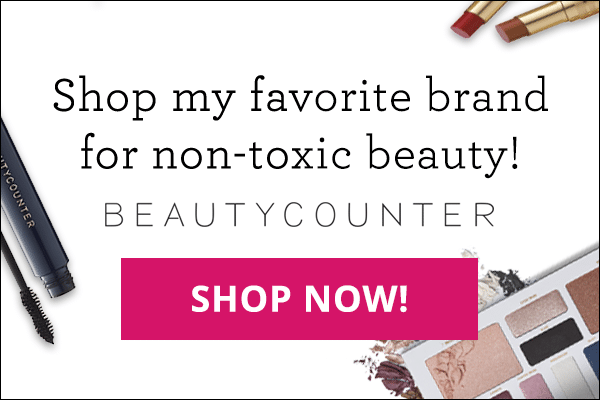 Toxins can also come in the form of medications, including NSAIDS such as Motrin and Advil, steroids, antibiotics, the birth control pill and acid-reducing drugs. Chronic stress, both emotional and physical, also directly contributes to leaky gut and inflammation in your body. Over time, ongoing stress will weaken your immune system making it harder for your body to fight off bad bacteria and viruses, causing inflammation and leaky gut. Once your gut is leaky and toxins, viruses, bacteria and food particles are flooding your bloodstream, your immune system marks them as dangerous invaders and creates inflammation to get rid of them. 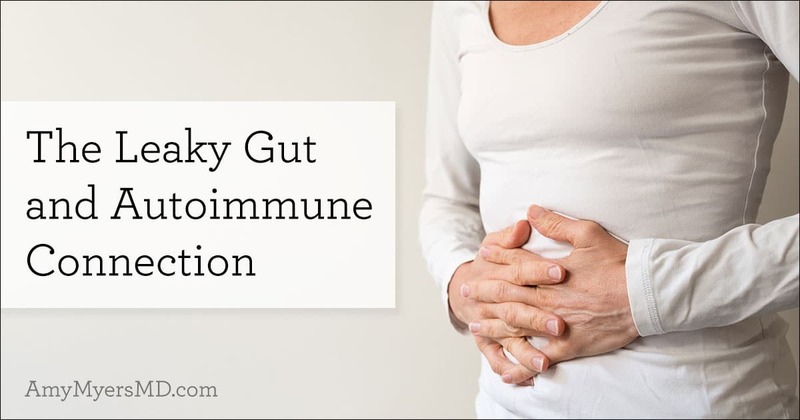 As your gut remains leaky and more and more particles escape into your bloodstream, your immune system sends out wave after wave of inflammation. Eventually it becomes over stressed and begins firing less accurately. This leads to autoimmunity as your own tissues end up in the cross hairs. On top of this, your immune system starts making antibodies against the substances in your bloodstream because it recognizes them as foreign invaders. Many of these foreign invaders look very similar to your own body’s cells. Your immune system can get confused and accidentally attack your tissues. This process of mistaken identity is called molecular mimicry. 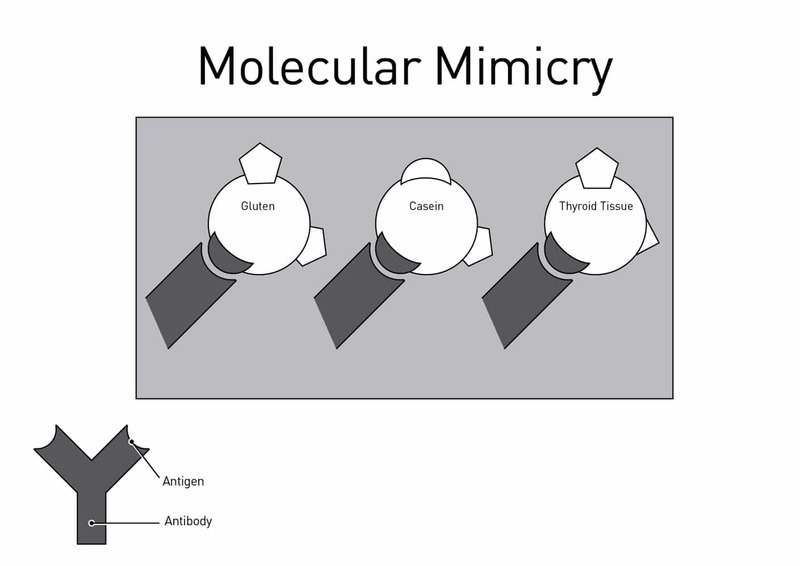 Gluten and dairy are common culprits behind molecular mimicry, particularly autoimmune thyroid conditions (Hashimoto’s and Graves’). 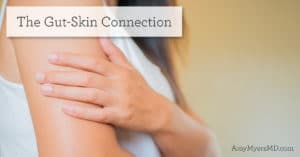 The autoimmune disease that manifests is determined by which tissues are being attacked. If it’s the joints, rheumatoid arthritis develops; if it’s the thyroid gland, the result could be Hashimoto’s or Grave’s; if it’s the gut lining itself, Crohn’s or colitis could develop. Dr. Alessio Fasano’s research has clearly shown leaky gut to be one of the preconditions for developing an autoimmune disease.1 And, once you have an autoimmune disease, leaving your leaky gut untreated can cause your condition to progress and places you at higher risk of developing another autoimmune disease. REMOVE: Remove the bad. The goal is to get rid of things that negatively affect the environment of the GI tract such as inflammatory foods, infections, and gastric irritants such as alcohol, caffeine or drugs. Inflammatory foods, including gluten, dairy, corn, soy, eggs, and sugar can lead to food sensitivities. I recommend completing an elimination diet to determine your personal food sensitivities. Infections can be from parasites, yeast, or bacteria. My Guide to the Gut eCourse includes a gut exam to help you pinpoint any gut infections you may have (my patients often have more than one) and provides protocols for addressing them at home using diet and supplements. RESTORE: Restore the good. Add back in the essential ingredients for proper digestion and absorption that may have been depleted by diet, drugs (such as antacid medications) diseases, or aging. This includes digestive enzymes, hydrochloric acid, and bile acids that are required for proper digestion. REINOCULATE: Restoring beneficial bacteria to re-establish a healthy balance of good bacteria is critical. This may be accomplished by taking a probiotic supplement that contains beneficial bacteria such as bifidobacteria and lactobacillus species. I start my patients with leaky gut on my 100 Billion Probiotic, which contains a potent blend of four proven strains of beneficial bacteria. REPAIR: Providing the nutrients necessary to help the gut repair itself is essential. One of my favorite supplements is collagen which is rich in amino acids that quite literally, “seal the leaks” or perforations in your gut by healing damaged cells and building new tissue. Another one of my favorites supplements is L-glutamine, an amino acid that helps to rejuvenate the gut wall lining. However, there is more you need to know. 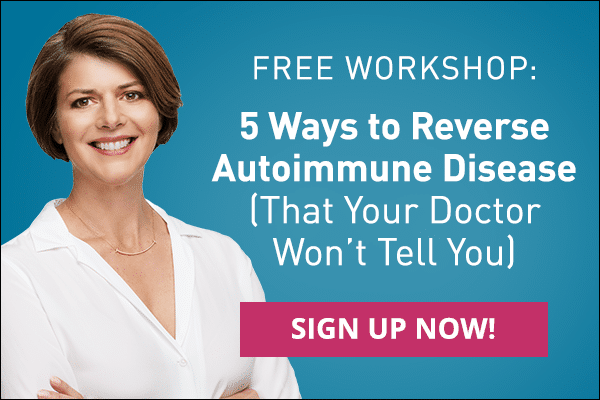 In my FREE online workshop, 5 Ways to Reverse Autoimmunity, I will tell you what else you should do to reverse your symptoms and take back your life. Sign up for the workshop anytime, and empower yourself with the information your doctor won’t tell you.